It is an active search for knowledge that paves the way to spiritual wisdom, and not any automatic belief. The two attitudes produce very different results. Beliefs that cannot be questioned are easy, comfortable, motionless and have no life. They expand ignorance. The absence of knowledge often hides behind an elegant collection of spiritual phrases and platitudes. The learning road is dynamic, stimulating, uncomfortable, challenging, often painful, and leads to wisdom. First, that the center of every effective pedagogical process is in the learning. Second, that an authentic learning occurs as long as the student is fundamentally independent. Third, that we all teach one another all the time; and fourth, that we teach both by words and by example. 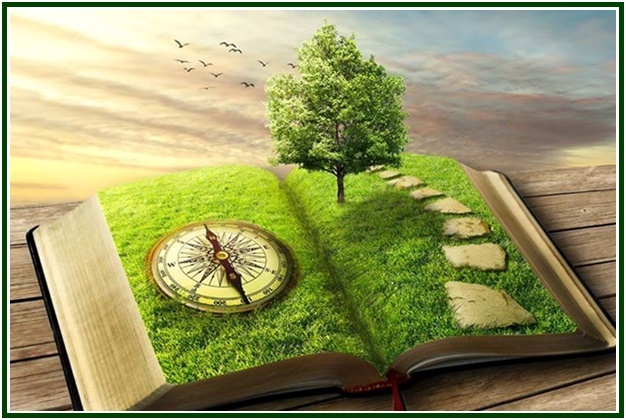 Theosophical studies are not based on memorization and imitation. The priority is not to be politically correct; it is following the voice of conscience, instead. The student learns to be responsible for everything he does. He doesn’t lose time or energy rejecting facts or circumstances. He adopts a noble ideal and works under the guidance of his goal. He is willing to identify, confront and correct his own mistakes, and knows that he needs to develop qualities that are opposite and complementary. Among them are audacity and prudence, courage and common sense, perseverance and humility, confidence and discernment, self-knowledge and self-forgetfulness. Pedagogical discussions stimulate an efficient observation of the learning process, and should constitute a central topic in the theosophical agenda. Pedagogical factors are examined throughout the Mahatma Letters and in Helena Blavatsky’s writings. On the other hand, the hallmark of pseudo-theosophy and fake esotericism is that they are not open to discuss their methods of research, teaching and learning. They want to obtain the blind acceptance of their followers, and this is so for a very simple reason: their pedagogy can’t resist a critical examination. One of the main pedagogical mistakes of an ill-informed spirituality is to imagine that a truth-seeker must “believe” in the esoteric teachings. Another illusion is to think that the student should become a sort of smiling robot who “listens only to his higher self all the time”. Helena Blavatsky, the founder of the modern esoteric movement, didn’t adopt the external and artificial pose of a wise person. She allowed her human mistakes be seen by anyone. She often seemed to be impatient and excessively emotional. A similar absence of care with his “personal image” could be seen in Damodar K. Mavalankar and other advanced disciples of the 19th century. In the “Mahatma Letters”, one can observe that the Masters of the Wisdom are the first not to present themselves as “perfect men” or as objects of personal worship. The disciples and aspirants to discipleship check and verify their own motives, they purify them, and mainly live to benefit mankind. This makes them free from hypocrisy and insincerity, which is a starting point to learn. The sensible learner practices moderation in his lower self. He follows the ethical precepts of theosophy and tries to adopt the viewpoint of his immortal soul in every aspect of life. He who gets to know the authentic spiritual pedagogy and adopts it, does not try to play the theatrical role of a saint, either to himself or to others. He dedicates his entire existence to a noble ideal. He knows that the efforts for self-improvement produce results reaching various incarnations. He can also see that each small progress made here and now means a lot and makes a difference. Between credulity and skepticism, the choice for common sense and equilibrium is the probationary path, the experimental way. The philosophical quest brings the highest dreams and the most objective practice together. As the learner tests his ideas, he gets tested himself. Everything must be examined step by step. If the pedagogy is legitimate, the student will gradually create his own grammar in order to better understand the spiritual road. He learns to look at life from the point of view of his individual Karma (objective circumstances) and Dharma (sacred potentialities). In order to practice the teachings, therefore, the pilgrim does nothing in a mechanical way. He must express his view of the teachings in daily life. He sees little by little the actions he can develop that are useful, and how to obtain increasing levels of effectiveness. He observes his own mistakes and accomplishments without despondency or euphoria. He also learns from the mistakes of others. He discusses the path with fellow pilgrims. He studies, and leaves aside whatever he has recognized as an illusion. In the real search for truth, there is no such thing as thinking that “I have learned enough”. The more one learns, the more one is able to learn. As one makes progress, one gets more humble, more grateful and more eager to learn new lessons, even if they are uncomfortable. The learning process is wider, more dynamic and more challenging than anything based on mere obedience. To think that there is one simple choice between spirituality and materialism is an escape from the effort necessary to understand life in its complexity. Attempts to deny the dynamic and contradictory character of human existence result from a degree of mental laziness. The oversimplification is also stimulated by the lack of courage to feel entirely responsible for one’s own life. A third factor is the fear of confronting the fact of one’s inevitable death on the physical plane, in some future moment. Acceptance of such a fact makes one conscious of the opportunity to participate in the Larger Universal Life before death occurs. This sort of challenge originates a creative tension. The pilgrimage in search of eternal wisdom produces areas of profound discomfort in one’s mortal soul. How can we deal, for instance, with the anxiety that emerges as we see a remarkable distance between our Ideal and the Practice? Discomfort in the search for wisdom is a positive sign, as long as it is accompanied by calmness and common sense. If one adopts a lofty ideal requiring various incarnations to be achieved, one must be willing to accept an initially significant distance between precept and practice. B) To walk toward the chosen object with patience and perseverance, through a calm, long-term effort, and to point to that which is beyond the present incarnation, while feeling entirely self-responsible around the clock. There is nothing like a day after another, for students of universal wisdom. The short cycles contain the seeds of the larger ones, and each day is the equivalent of a small incarnation. 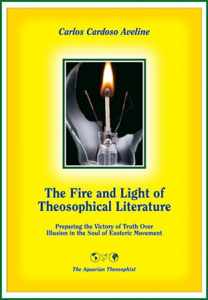 The article “The Pedagogy of Theosophical Wisdom” was translated from the Portuguese language text “A Pedagogia Teosófica”, by Carlos Cardoso Aveline. First published in English in June 2015.